EMI III is the successor to the EMI 2 image analysis software from Hesse Instruments. Customers who already have a heating microscope from Hesse Instruments or Leitz/Leica with EMI 2 can upgrade their system to EMI III easily. The EMI III heating microscope software was developed based on Hesse Instruments’ tried-and-tested EMI 2 image analysis software. 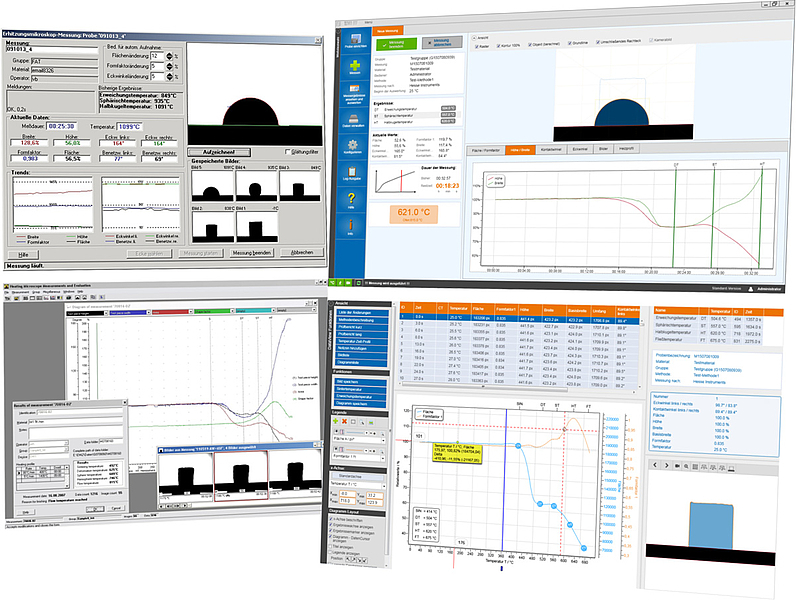 The full functionality of EMI 2 has been included in EMI III, and the range of functions has been expanded to boost ease-of-use and to provide additional options for the preparation, performance and evaluation of measurements. In addition to the expanded range of functions, EMI III improves upon EMI 2’s performance considerably. The software has been designed for current operating systems and hardware and therefore permits, among other things, more accurate resolution during image analysis and greater storage capacity for silhouettes of the test piece. Insertion of notes, graphs, etc. Measuring station computer: EMI III comes installed on a preconfigured and ready-to-use measuring station computer. In addition to the operating system and heating microscope software, the computer is equipped with all of the necessary hardware interfaces. Network-compatible CCD camera: A more powerful camera with faster transmission delivers images in the necessary resolution for the newly developed evaluation algorithms. The camera is compatible with the existing macro lens of the EM201. Temperature acquisition device: To complement EMI III’s communication, the Hesse Instruments furnace control unit is equipped with a new temperature acquisition device. The upgrade installation is designed and documented so that you can easily carry out the process yourself. After a single adjustment procedure, the upgraded heating microscope is ready for use.